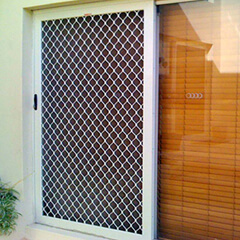 When it comes to custom gates Perth for your home, customers can always choose Aus-Secure. At Aus-Secure, we specialise in tailoring security gates according to our client’s specific style preferences and needs. Get your FREE QUOTE today by clicking the button below! Whether you need a small pedestrian gate, an automatic driveway gate or a large pool regulation sliding gate, you can turn to Aus-Secure. 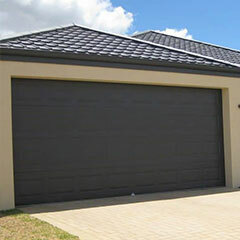 Our team is well known for providing custom gates that Perth clients can rave about. For over 30 years, we have been providing made-to-order gates at competitive rates; after we’ve completed your request, we guarantee absolute satisfaction with how stylish and reliably secure your new gate will be. Click on the links below to get more information on the various design options we offer. 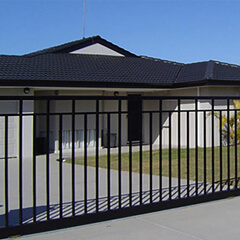 Whatever your requirements are for your Perth home or business, we will be able to come up with a suitable custom gate solution for you. We know that every client we encounter has individually unique needs, and as such, we always make sure that our products are custom-made to fit your specifications and budget. Our bespoke gates not only secure your home or business in Perth and Mandurah, but also add value to your home and property. Our residential and commercial security gates are made-to-measure and finished with the latest contemporary powder coating and colours in our modern facility. When you opt for an aluminium slatted gate for example, you can expect it in a powder coating finish or a timber finish that closely resembles the look of real wood. With an aluminium gate that has a timber-like appearance, you can achieve the look of timber without the demanding maintenance- needless to say, you can have the home security gate of your dreams that blends beautifully with the design and style of your fence. 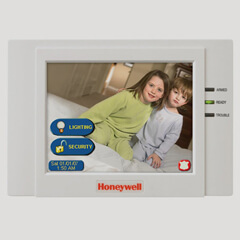 If you wish, we can also motorise your security gate for automatic opening. 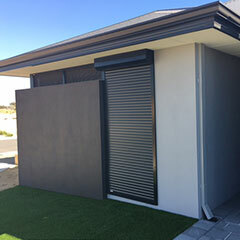 At Aus-Secure, our team possesses the skills and expertise to install automatic hinged gates and sliding gates for residential and commercial buildings in the Perth Metro and Mandurah areas- there’s no need to deal with various contractors, because we do all the electrical work in-house. Of course, when we shop for gates, we want to get the best value for our money. Many individuals who prioritise saving money may opt for ready-to-install security gates, however if you want something that truly speaks your lifestyle, personality and taste, choosing custom gates would be a wiser decision. If you can’t decide on which option is best for you, take a look at our comparison below. By opting for made-to-order gates, you can have flexibility over your goals and requirements, but it’s important to note that when you search for ready-to-install gates, it can be quite difficult to find one that specifically fits your preferences and requirements, therefore you might just end up settling for the first available gate kit you find. Ready-made security gates may come in a wide variety of materials, colours, designs and styles, however there’s no guarantee that you’ll find one to suit your abode. When you have a bespoke house, it can be extra challenging to find a gate kit that fits the look of your house’s driveway. Luckily, you can ensure a perfect match when you opt for a personalised gate, which guarantees a gate featuring a seamless design which will in turn, increase the value of your home. In most cases, the quality that you pay for is the quality that you get. The thing with ready-to-install and custom gates in Perth is that they come in a wide spectrum of prices, but ultimately, it all boils down to the quality of materials that were used to build the gate. When you opt for a cheaper gate, you might think that you’re saving money, but instead you’d be wasting it by compromising on the gate’s ability to deliver security, durability and other long-lasting benefits. When you install a made-to-order gate, you can significantly add value to your home. It’s no surprise that it’s important for you to invest on quality, and at Aus-Secure, we only offer made-to-measure security gates made with premium quality materials. Once we’re done, you can expect a long-lasting gate that can stand strong against the harsh weather conditions of Western Australia. Most ready-to-install gates come from other countries, and we won’t deny that there is a good selection of quality products available from this market- however, wouldn’t it be better to opt for a gate that promotes sustainability? Here at Aus-Secure, we only supply custom gates that are completely Australian-made by local craftsmen, using only premium quality materials that are sourced locally. By choosing a locally manufactured, custom-built gate, you can ensure that your supplier will be available to resolve problems that come up after sales. In contrast, when you buy an imported kit gate and the design or style you choose becomes obsolete, it would be difficult for you to find replacements that accurately suits the one you have. With local warranties, you can rest assured knowing that you can access customer support whenever needed. 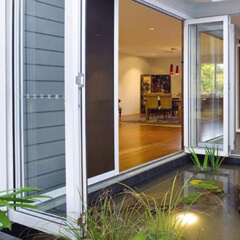 So, are you ready to learn more about the custom gates Perth residents have been raving about? Contact Aus-Secure today and we’d be happy to answer your enquiries!